Nobody panic! Ok, everybody panic! 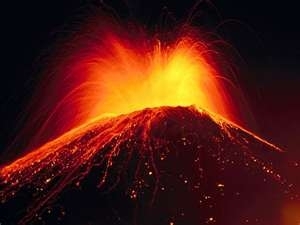 It could have been the extreme heat and humidity this summer or it could have been testing new products for this blog. Whatever it was, something has caused my skin to freak out in a way I haven’t seen in years. What started as an innocent breakout exploded into an ugly situation with irritated skin and a deep, painful under-the-skin breakout. Ack! Benzaclin is the best ! It’s only available by prescription but it does short work on turning acne situations around pretty quickly. 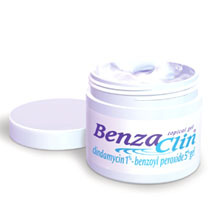 When I struggled with Acne Rosacea 6 years ago Benzaclin was my savior. This pretty much cleared it up for good and I have only had cause to use it a couple times since then. A tip from my pharmacist – store it in the fridge and the effectiveness will last longer. I took the two aspirins and mixed with them water to soften them up and then mashed them into a paste. I then added honey to the mix and spread all over my face. I left the mask on for about 15-20 minutes and then washed it off. This mask took a lot of the throbbing out my face and by the next morning the volcano had receded quite a bit. This was my first time using an aspirin mask and I loved it. I will keep this in my arsenal for future breakouts. I pilfered this recipe from makeupalley.com. Usually I can get away with just using concealer or a light foundation. However, for this situation I needed to bring in the heavy artillery and started using Bobbi Brown’s Moisture Rich Foundation (Macy’s $46). This foundation has great coverage and really went a long way to even out my skin tone and neutralize the redness. 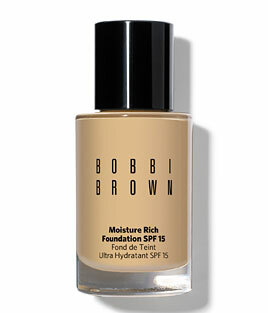 Bobbi has an oil free version too if a moisturizing foundation is too much for for your skin type. After I put a light layer of foundation on I went back over and touched up the worst spots with MAC’s Light Reflecting Concealer Pen. This concealer is really sheer and light and worked to diffuse the redness without looking too caked on. It looks like Mac’s has discontinued this product but Neutrogena has a version too. I don’t normally wear a lot of bright red lipstick but on my worst days I wore red lipstick to distract from the volcano sitting in the middle of my face. I used Bobbi Brown’s in Burgandy but any red lipstick will do. I don’t know if I was fooling anyone but it did give me something to focus on other than my faults. Fake until you make it I say! I also took care to try and incorporate more fruits and veggies into my diet, drink more water and eat less sugar. I don’t know if this helped but I know it can’t hurt in the long run. I’m over the hump now and my face is on it’s way to getting back to it’s old self. Have any tips for cleaning up breakouts? Please share! BTW who’s your dermatologist? I got serial yeast infections from the low-level antibiotic mine prescribed so I’ve given up on that front for awhile. I could write a whole novel on Rosacea, I suffered with it for years before I figured out what worked for me in terms of skincare, topical treatments and triggers. I took topical antibiotics for awhile but they didn’t do much. There are many treatments for Rosacea so if one type of medicine doesn’t work for you, another might. 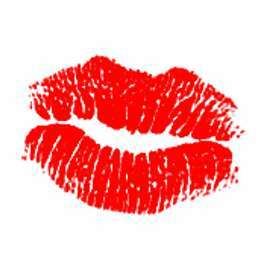 As for dr’s – I go to A&D dermatology and they are very good and very nice about giving free samples. « French Pharmacie, Oui Madames!